The Financial Sector Information System (FSIS) is held out as a success story for the Reserve Bank of New Zealand, since it went live—on time and on budget—in November 2009. Thanks to FSIS, the Bank’s Statistics Unit were able to significantly improve their processes and analytics, grounded on the programming team’s ability to not just maintain, but adapt to the users’ evolving needs. Senior Analyst Programmer Bevan Arps “lifts the lid" on this complex .NET system in this rare look into an organisation’s significant development project. Arps reveals what worked, what flopped, and what his team would have done differently, had they known better. Bevan Arps has worked as a Senior Analyst Programmer with the Reserve Bank of New Zealand since 2004. 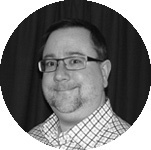 He is a regular speaker on the New Zealand ICT events circuit, including presentations at TechEd and the .NET User Group, of which he also leads the Wellington group. Arps developed a love for programming as a young man in 1982, working on the ZX81, an early personal computer. He has worked as an IT professional since 1990, after graduating from Canterbury University in 1994 with a B.Sc (Hons) in Computer Science.